Back in January, 2019, when Amazon Founder and chief executive, Jeff and MacKenzie Bezos announced via a joint press statement on Jeff Twitter handle, they were separating after 25 years of marriage and four children together, many were of the opinion the post-divorce will affect Jeff Bezos position as the world's richest person with a net worth of $110 billion, according to Forbes. But fast-forward to three months later, Thursday, April 4, 2019, the narrative is different as the estranged couple who said they are remaining friends said on Twitter that they had finalized the details of their divorce and its in favour of Jeff. 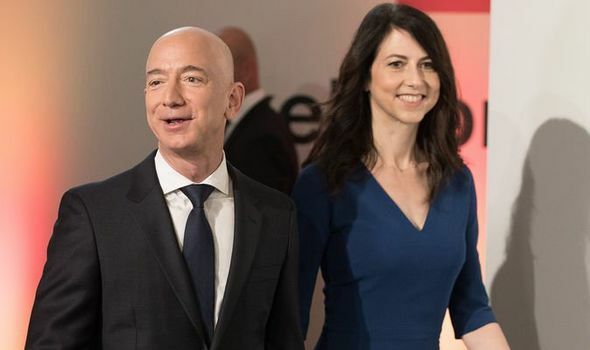 According to MacKenzie via her twitter post, her former husband, Jeff Bezos will keep 75 percent of the couple’s Amazon stock and all of their ownership of The Washington Post and the Blue Origin space company, The New York Times reports. “Grateful to have finished the process of dissolving my marriage with Jeff with support from each other and everyone who reached out to us in kindness, and looking forward to the next phase as co-parents and friends,” she tweeted. Mr. Bezos will also have “sole voting authority” over Ms. Bezos’ Amazon shares, according to a filing with the Securities and Exchange Commission. After the divorce, Ms. Bezos will own roughly 4 percent of Amazon, a stake that was worth almost $36 billion on Thursday. By keeping 75 percent of the couple’s Amazon shares, or about 12 percent of the company, Mr. Bezos will most likely remain the richest person in the world. Experts had said that in Washington State, where Amazon is based and where the couple have been raising their four children, Ms. Bezos was entitled to roughly half of their assets. They have other investments and properties across the United States. The details of divorce settlements are not public, and theirs could contain other compensation for Ms. Bezos. MacKenzie, a book author, is now one of the richest women in the world, according to The Washington Post. She follows behind the $54 billion fortune of L’Oreal heiress Francoise Bettencourt Meyers and the $44 billion wealth held by Alice Walton. She is almost tied in third place with Mars candy company heiress Jacqueline Badger Mars, who has a net worth of $37 billion.